Millions of families across America have members grappling with addiction and substance abuse. Such families have to live with economic hardships, social boycott, and violence at home. The only way out is to overcome substance abuse. However, getting an addict to agree for treatment is not easy. Addicts live in delusion and try their best to convince themselves and others that there is nothing wrong with them. Intervention specialists know the steps involved in conducting an intervention. The first step is planning. When assessing intervention specialists, ask them about the kind of planning they do and the role you and other family members will have to play. The time and venue for the intervention is determined at this stage. Your response to the addict’s receptiveness of the counseling is decided here. The intervention expert will counsel you on how you may have to show some “tough love” and stop any enabling behavior that you are engaging in. During the intervention, an addict is engaged in a decent and non-confrontational manner. The subject of substance abuse is raised. Probable consequences of continuing with the abuse are elaborated, and the benefits of rehab are explained. Successful recovery often begins with a structured intervention carried out by an experienced counselor. Where can you locate family drug intervention services? Begin your search locally, and then spread outward. 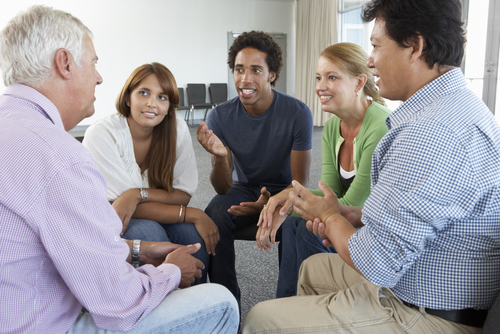 Check out addiction treatment centers in your area and ask if they offer family drug intervention services. Local psychologists can direct you to counselors who offer such services. A visit to a local chapter of the AA might yield some references. The website of the Association of Intervention Specialists is a valuable resource for locating intervention specialists in your area. Interventionists who are members of this association are board certified mental health professionals with a license to practice. They also need to possess the required experience to qualify as members of this association. The right intervention specialist for your situation should have the experience in dealing with addiction cases related to the drug that your loved one is abusing. The effect on health, withdrawal symptoms, time for recovery are some of the factors that vary with the nature of the drug. Compare interventionists on the basis of their approach to the problem. You and the addict both need to be comfortable with an interventionist’s approach. You may be interacting with the person over a period of time. Cost is a consideration but shouldn’t be a prime reason for accepting or rejecting an interventionist.